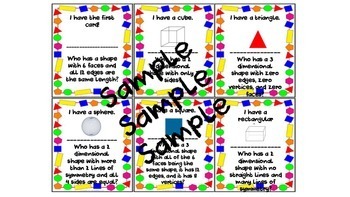 This game includes 22 cards with both 2D and 3D shapes. You can use this whole group or in small group, and give students multiple cards. The cards do say which one is the first card and which one is the last card.